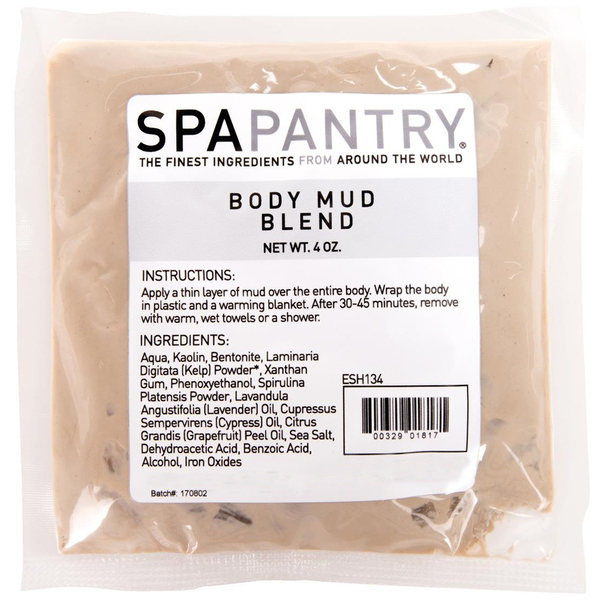 Spa Pantry Spa Mud Blend 4 oz. Boost skin hydration with the Spa Pantry Spa Mud Blend. This rich seaweed paste contains essential oils and botanical extracts, perfect for body masks and wraps. Greenish gray. 4 oz. Apply a thin layer of mud over the entire body. Wrap the body in plastic and a warming blanket. After 30-45 minutes, remove with warm, wet towels or a shower.